Fresh carpets, spotless upholstery, and gleaming floors enhance the beauty of your home and provide a more healthy environment for your family and guests. At ServiceMaster of Utica we help families in many areas of Oneida County, NY maintain their homes with regular professional services. We work to your specifications and guarantee the job is done right or we do it over. With today's lifestyles its not always easy to find time to keep your home looking the way you'd like it to. ServiceMaster Clean® has created the answer for you - The Extended Home Cleaning Program. Click here for some Home Care Tips. At ServiceMaster of Utica we have the equipment and expertise to remove dirt, detergent, and moisture. We also offer Green Cleaning for your carpets, which is just as effective as traditional carpet cleaning. Real wood flooring can be expensive, but caring for it doesn't have to be. ServiceMaster Clean® believes your wood floors should always look new, and our specially formulated wood care products can ensure they will. For ceramic and porcelain tile, our Tile and Grout Cleaning process effectively removes dirt and restores your tile's appearance. ServiceMaster of Utica also offers fire, smoke and water damage clean up services. Our professionals use advanced products, procedures, and equipment to assure the highest level of cleaning performance and protection for property and furnishings. We help people in many areas of Oneida County keep their homes beautiful. 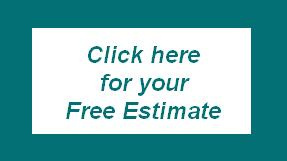 We can provide you estimates over the phone, in person or online. We can also schedule to clean what you want cleaned at a time that is convenient for you. Our training programs define and communicate high expectations to our insured, trained professionals. We use exclusive cleaning products, procedures and equipment to assure the highest level of cleaning performance.